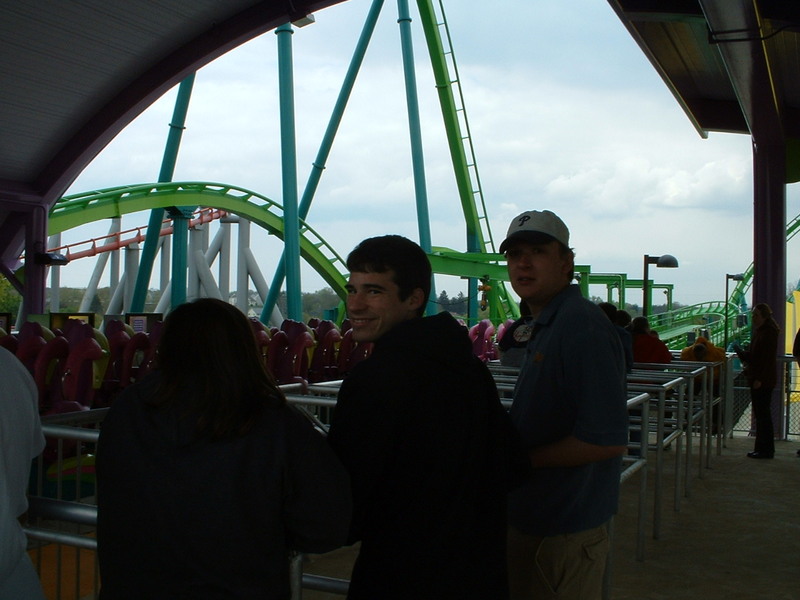 ALLENTOWN, PA, September 14, 2004 - In May 2005, Dorney Park will ratchet up the thrill expectations for roller coaster enthusiasts everywhere with the addition of HYDRA The Revenge to the Park's already-impressive collection of coasters. Announcing the new ride, Dorney Park officials described the $13 million floorless coaster as a one-of-a-kind ride experience with several unique design features. 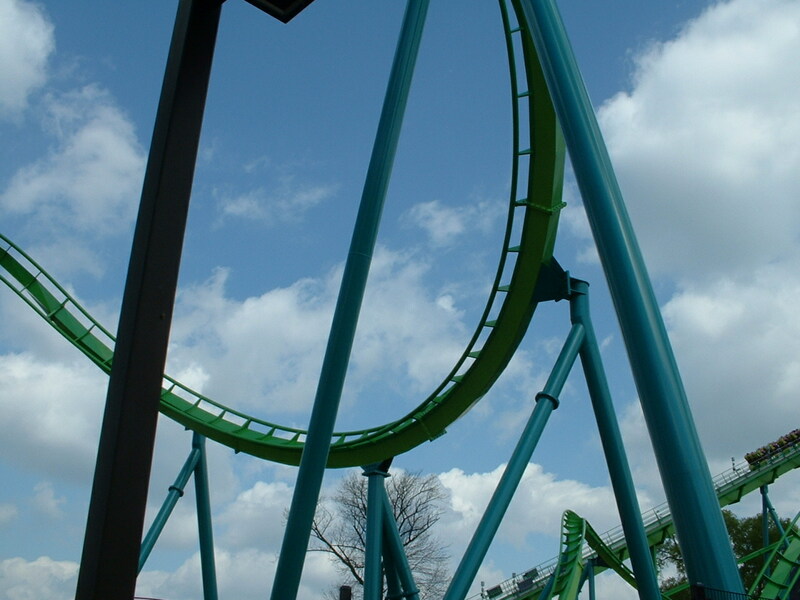 HYDRA The Revenge features seven inversions, a zero-gravity experience and several drops below ground level. As a floorless coaster, riders will experience the sensation of floating in air throughout the ride. 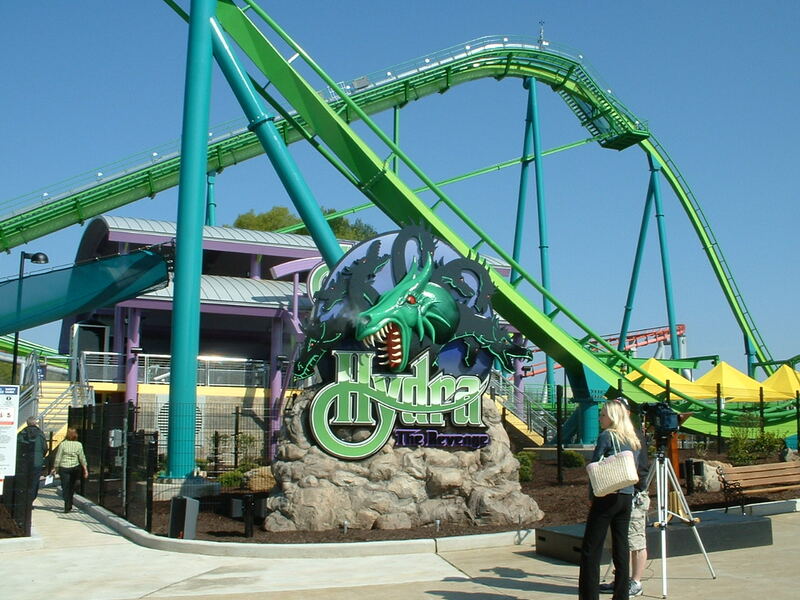 "We deliberately designed Hydra with a fast-paced series of sensory challenges," stated John Hildebrandt, vice president and general manager of Dorney Park. "The ride is a non-stop mix of twists, rolls, drops and spirals that keeps riders wondering what comes next. Hydra even treats riders to a special surprise right out of the launch station." The ride begins with a unique feature park officials call the jojo roll, the first-ever pre-lift hill inversion where riders twist upside-down after exiting the launch station. 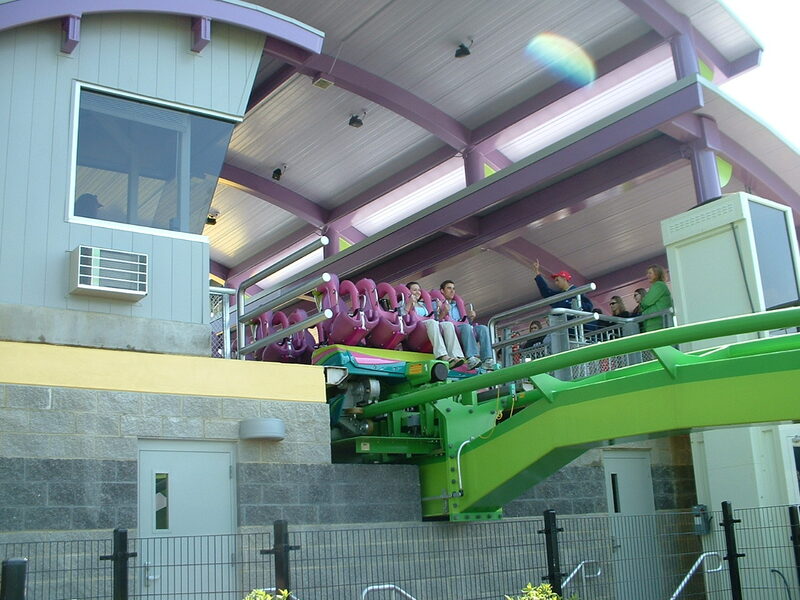 With adrenaline pumping, riders climb out of the jojo roll up a 95-foot-tall lift hill, followed by a 53 m.p.h. plunge down a menacing 68-degree, 105-foot sideways drop into a rock-hewn canyon. This "near-miss" race through the canyon is followed by an inclined dive loop 65 feet above the ground, dropping the train back into the ravine to be shot through a zero-gravity roll, carrying the train out over the midway. 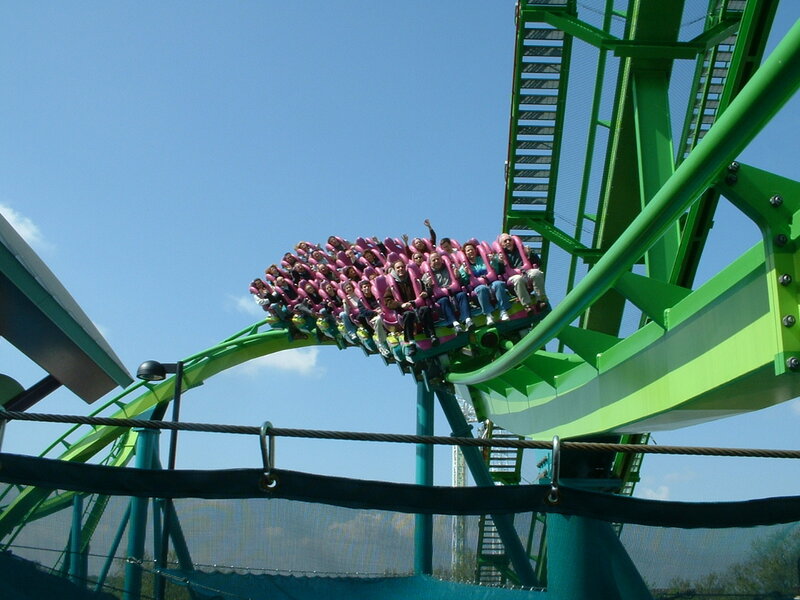 The coaster races through the first of two flat-spin inversions, plunges 50 feet into another ravine and rises into Hydra's signature design element of a tight cobra roll, before dropping back into the same ravine. "This ride will keep coming at you," Hildebrandt said. "By design, there's not much recovery time between elements." 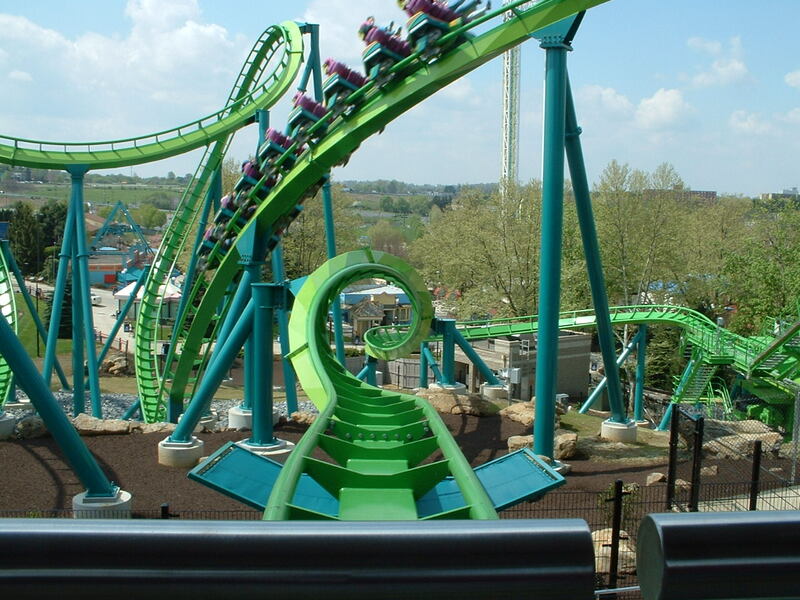 Joe Greene, Dorney Park's vice president of construction, explained that steps were taken early in the design process to integrate the coaster into the landscape. "With five canyon drops of varying intensity, the rider will constantly interact with the surroundings. Of course, it didn't hurt to have tons of native Pennsylvania boulders already on site to drop into the mix." HYDRA The Revenge is named after the nine-headed monster of Greek mythology. In the myth, Hydra battles the hero Hercules, who succeeds in cutting off all of Hydra's heads. However, one head is immortal and Hercules buries it under a huge boulder by a lake. 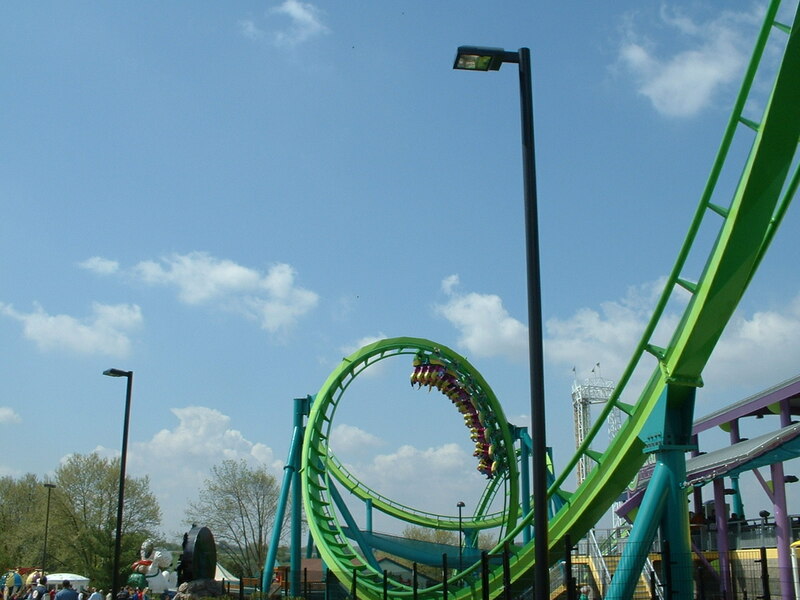 In Dorney Park mythology, Hydra has risen from Dorney Park Lake and has taken its "revenge" on Hercules, the wooden roller coaster the park retired after the 2003 season. 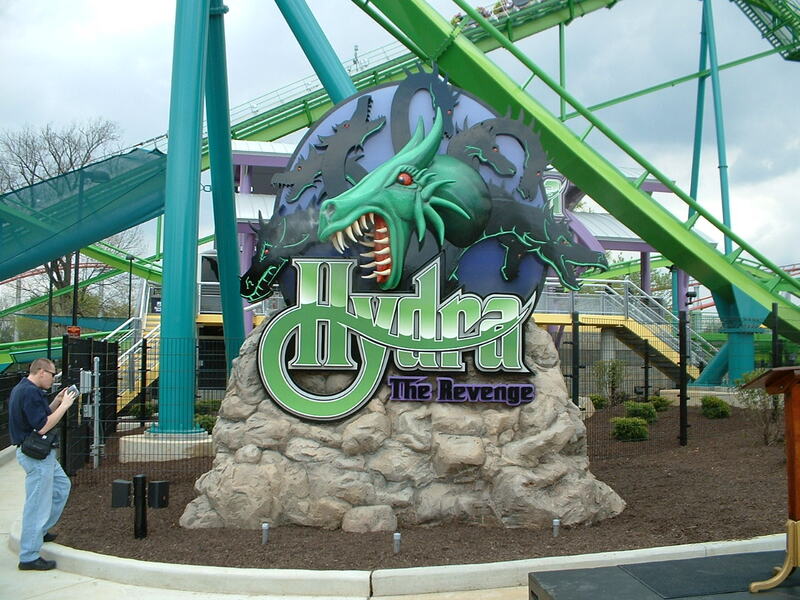 Hydra The Revenge is located in the same spot bordering Dorney Park Lake where Hercules once stood. HYDRA The Revenge is made up of 3,198 feet of tubular steel track and weighs in at approximately 1,368,000 pounds. Open-air trains seat riders four abreast in eight rows to accommodate 32 passengers per ride, for an estimated 1,245 riders per hour. 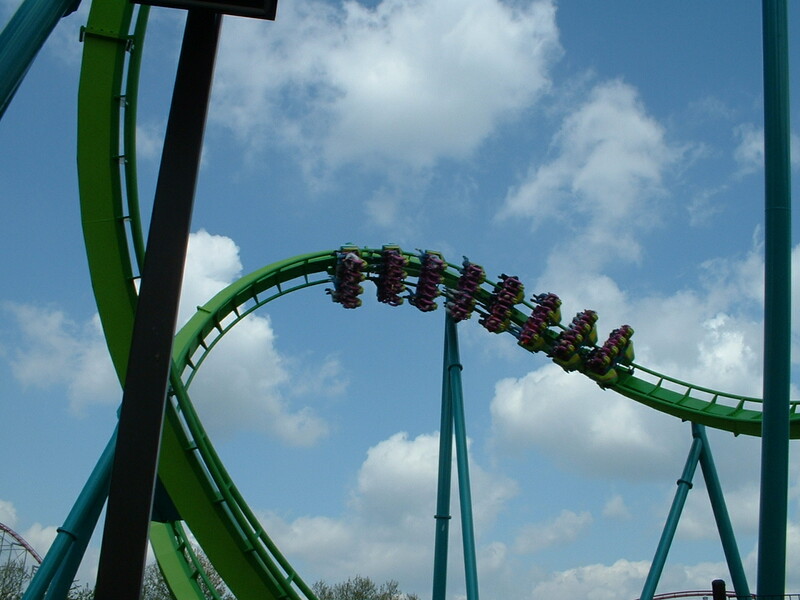 Hydra The Revenge will be Dorney Park's seventh roller coaster, joining the inverted Talon and 205-foot-tall Steel Force as one of the park's signature thrill rides. 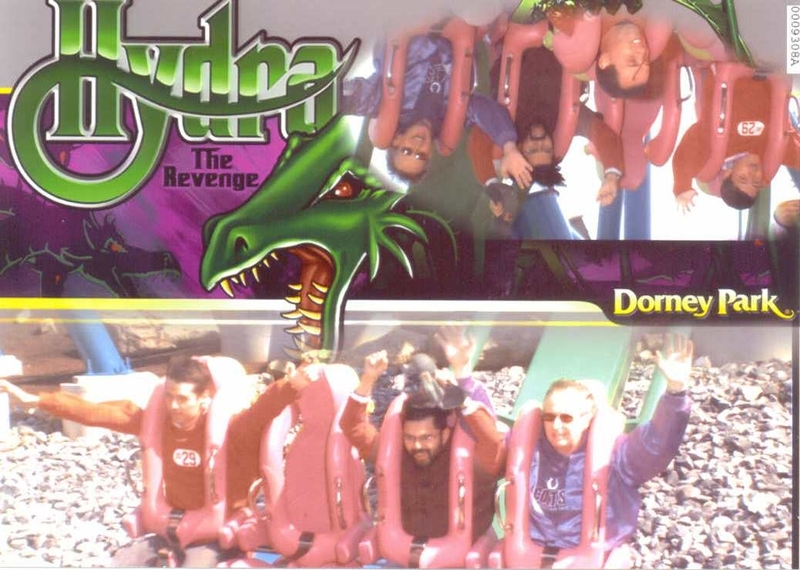 HYDRA The Revenge was designed by Bolliger & Mabillard of Monthey, Switzerland, a recognized industry leader in roller coaster development. 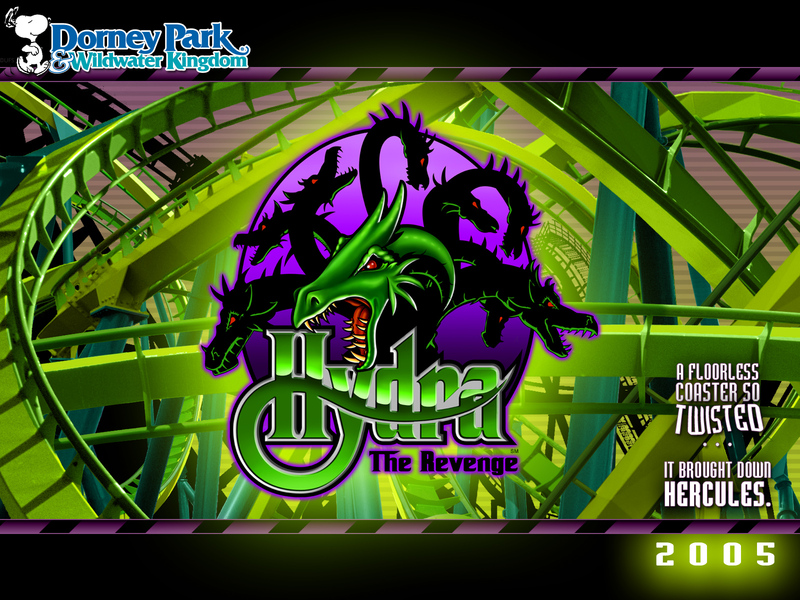 HYDRA The Revenge is scheduled to emerge on Saturday, May 7, opening day of Dorney Park's 2005 season. 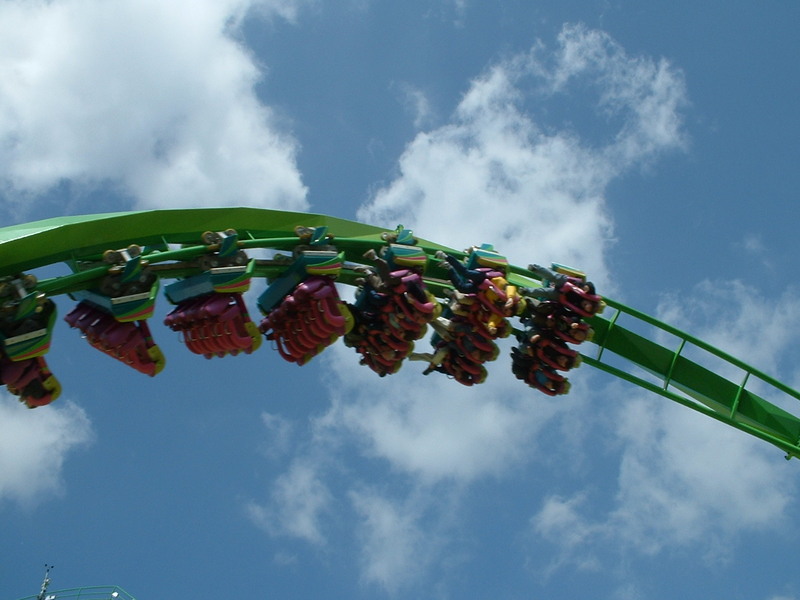 Dorney Park is owned and operated by Cedar Fair, L.P., a publicly traded partnership that is listed for trading on the New York Stock Exchange under the symbol "FUN". 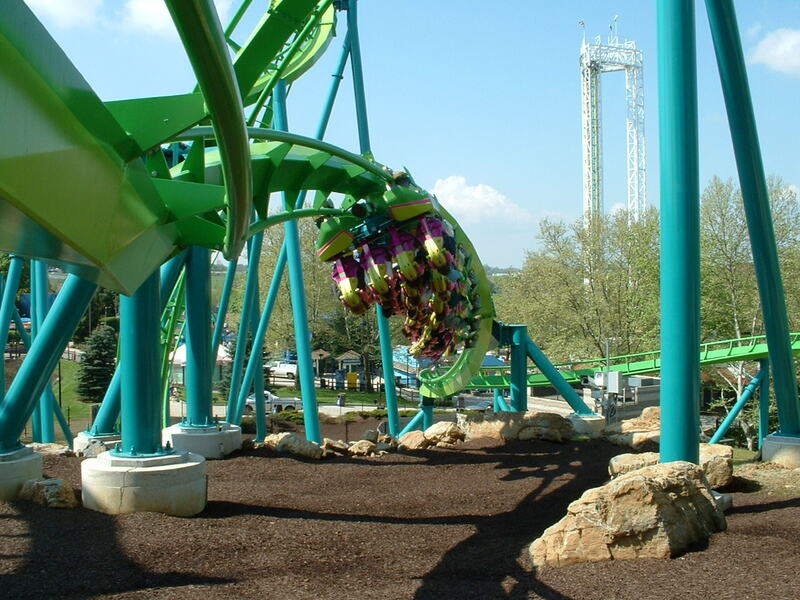 In addition to Dorney Park, Cedar Fair owns and operates six other amusement parks and five water parks, and operates an eighth amusement park under a management contract. Click this link to see the track layout. One of the most famous tales of Greek mythology is the Twelve Labors of Hercules. King Eurystheus of Mycenae gave these labors to Hercules, the immortal son of Zeus. The twelve labors were so difficult that they were deemed impossible for even the mighty Hercules to achieve. Legend states that Hercules did complete all twelve of the labors. However, there has always been a question concerning the second labor. For his second labor, Hercules was required to conquer HYDRA, a monstrous nine-headed serpent that would rise from the murky waters of the lake, attack local villagers, and devour them with its numerous heads. 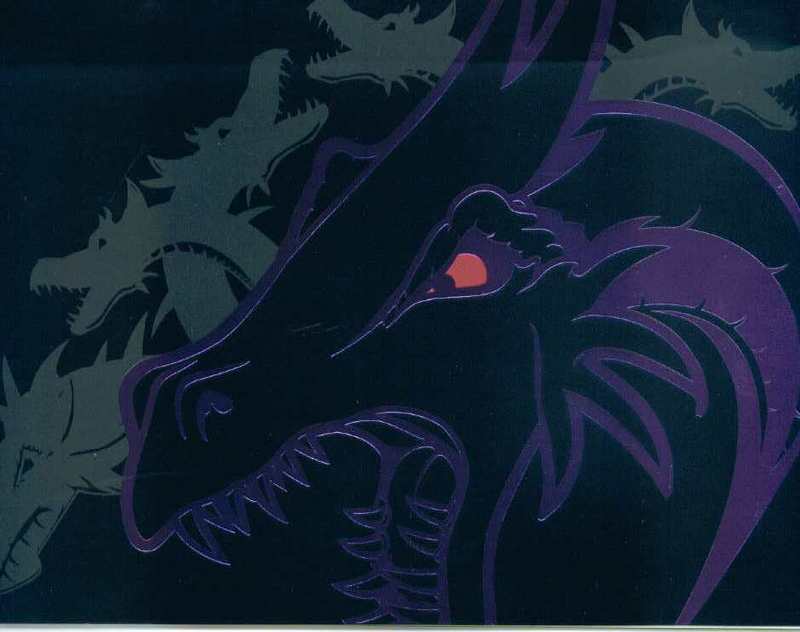 This dreaded beast was not easy to destroy, for one of its nine heads was immortal and indestructible. Hercules had help with this particular labor. He and his nephew, Iolaus, traveled to the edge of HYDRA's lair to wait for the creature to stir. When the monster emerged from the lake, Hercules attacked the beast and cut off its heads, and Iolaus cauterized the body with a torch to prevent the growth of any new heads. Once the eight mortal heads were destroyed, Hercules crushed the immortal head with a large club, ripped it from the body, and buried it beneath a huge stone near the lake. Hail to mighty Hercules, guardian of the land and lake, and slayer of HYDRA. But wait! What is that stirring by the edge of the lake at the feet of the powerful Hercules in the kingdom called Dorney Park? Throughout the years, and undetected by Hercules, the immortal head of HYDRA was slowly rejuvenating beneath the large stone at the edge of Dorney Park Lake. Then one dark autumn night it happened. While Hercules slept, the creature HYDRA emerged from beneath the great stone to seek its revenge. Using its nine powerful heads and whip-like tail, it attacked the unsuspecting Hercules with a ferocity never before witnessed and destroyed the once proud hero. 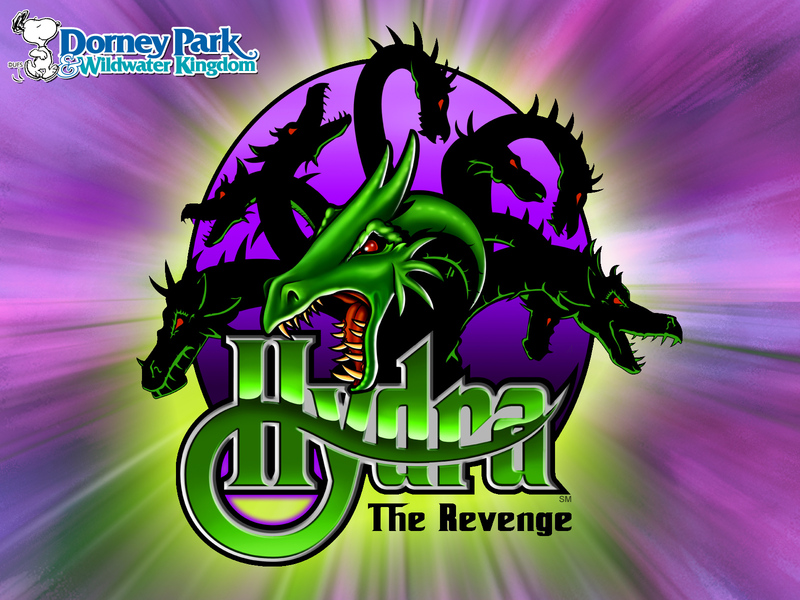 Mighty Hercules is gone and a new master rules the kingdom by the lake called Dorney Park, forever to be called HYDRA…The Revenge! Hydra Media Day, May 3, 2005. Jan the pics aren't working. At least the thumbnails aren't. I don't seem to have any problem. Anyone else? Let me know.